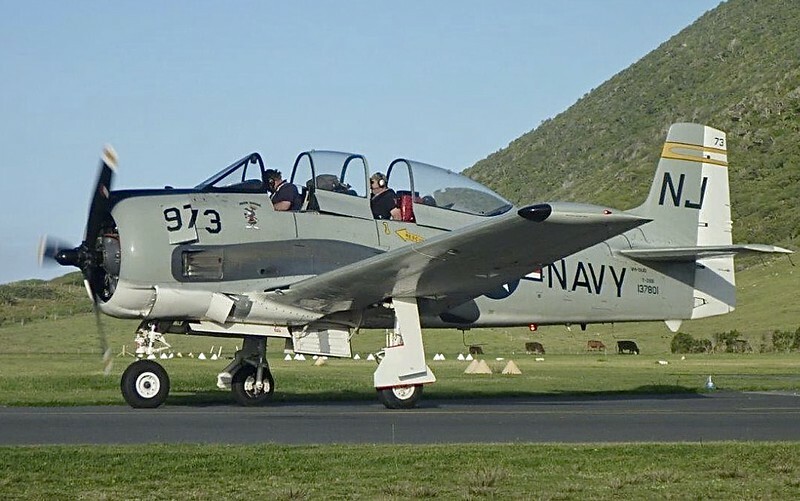 New T28 Trojan for NZ! 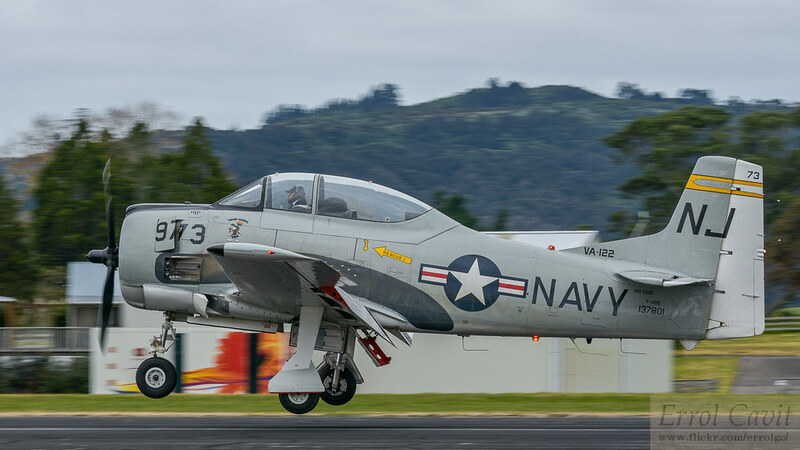 Latest import to the New Zealand Warbird scene, what a beauty! Looks pretty close to a twin of the existing one? Very cool-Thanks for the heads-up! Added some more pic's I just had posted to me, she's an impressive beast for sure. Brilliant. That's made my night! Is this going to be based in Alexandra by any chance? Ah right - bit closer to home for me so no complaints there. It's here, arrived about 1/2 an hour ago and is currently sitting outside the Warbirds hangar. So I popped down to Ardmore as the weather was decent for some practice. After some snaps of circuit-bashing Cessnas I had a warming mocha and a scone at the cafe. Back to our favourite spot on Corsair Lane and MRC says 'You here for the Trojan then?'. Well I guess I'll stay out in the nippy weather a bit longer then! But it wasn't there at Wanaka this year. 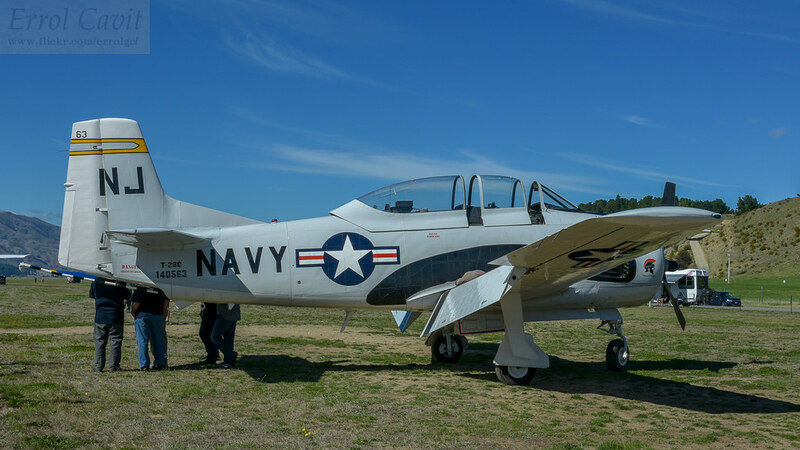 At least you can tell the new T-28B from the T-28C - no tail hook on the former. Presume it wasn't on the other side? Correct. Also note change to little nose cartoon. can't wait to see some images of that! 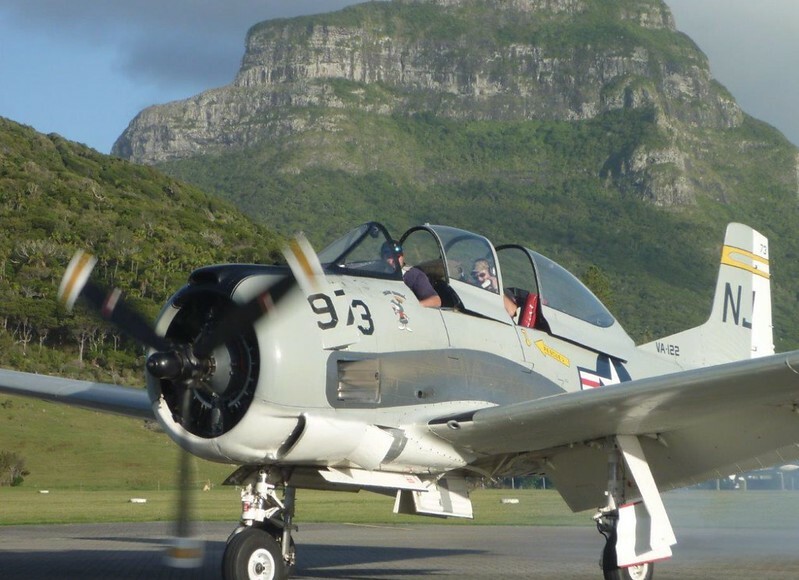 Mmmm nice looking forward to sitting on my Deck having a coldie later this year watching a T-28 Two Ship practise Aeros over the Sugar Loaf Islands. Couple more of her taxing out, that has got to be a great way to cross the Tasman Sea. 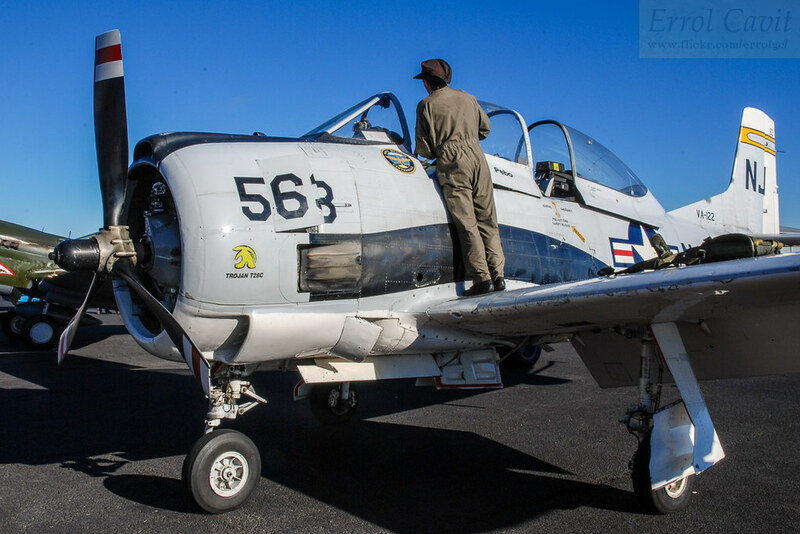 “While the interior of my new aircraft is in fantastic condition the outside needs a wee bit of work. 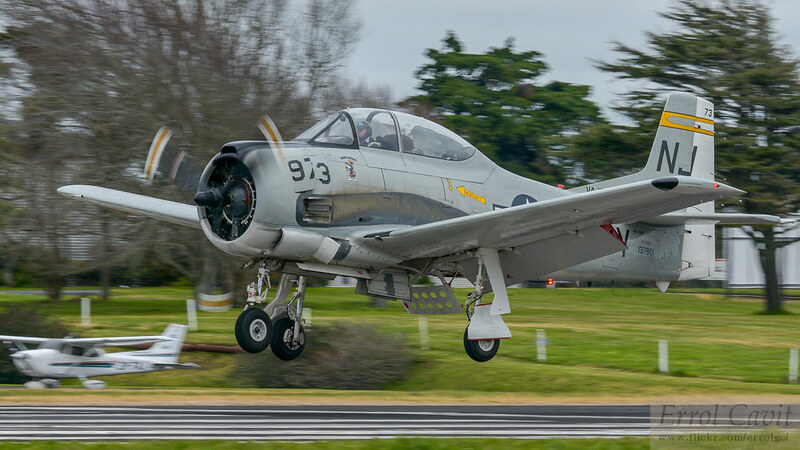 Brett painted the exterior of his aircraft earlier this year in time for the Warbirds Over Wanaka airshow and it looks stunning. The plan is to get mine looking exactly the same,” says Peter [Vause]. 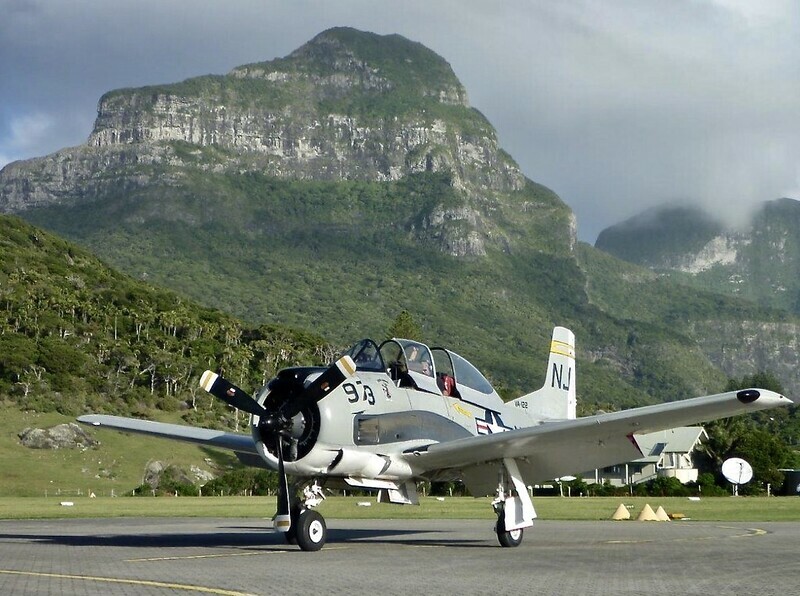 Then the two pilots will work up a T-28 pairs’ routine. 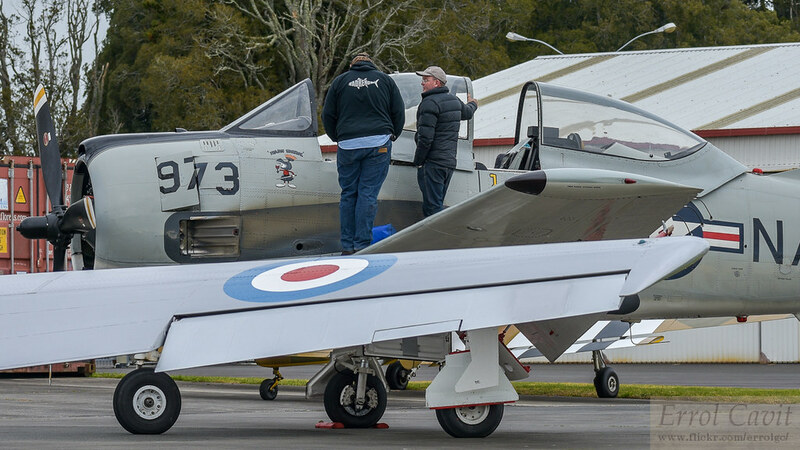 Brett and Peter are no strangers to flying together, especially at Wanaka. 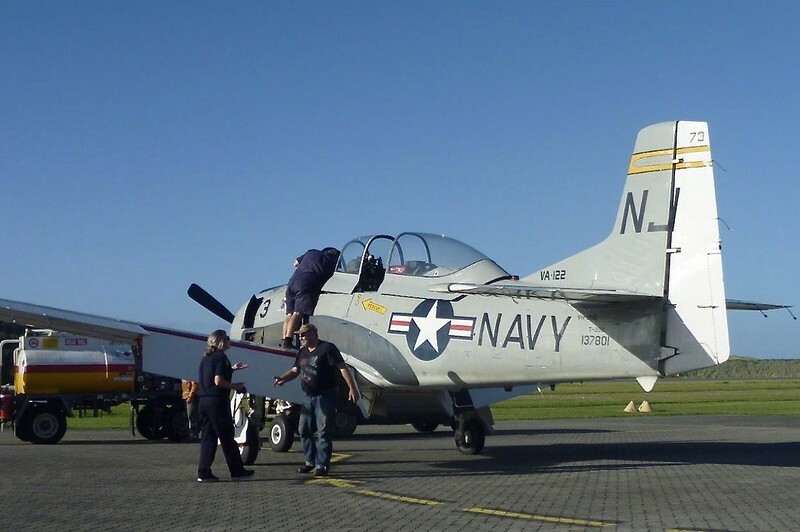 They are both integral members of the Yak-52 display team and Peter has performed many times in his L39 jet alongside Brett in his Vampire. 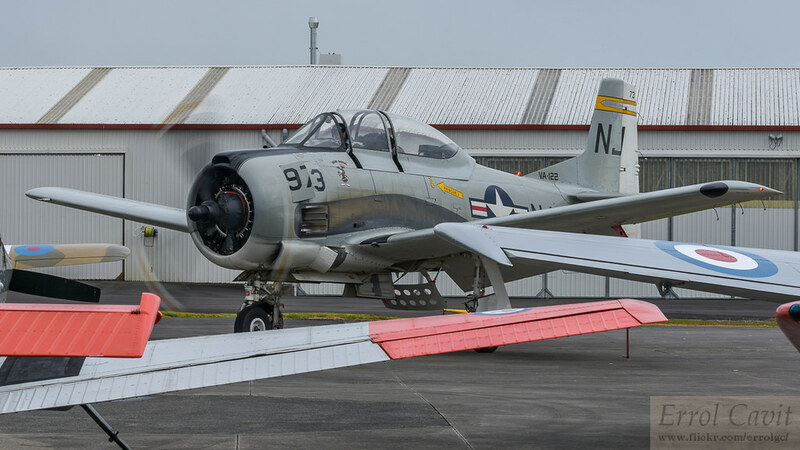 No photos as my phone’s no good for ground-to-air (even though the subject was right overhead), but my wife and I are visiting her parents in New Plymouth and a T-28 just went over while doing something of a victory lap of the city. 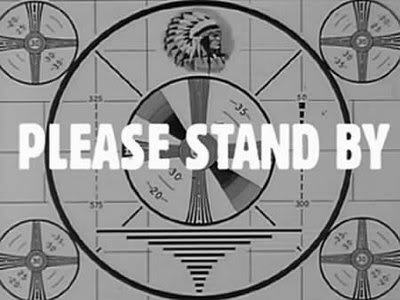 Perhaps Mr Vause’s one has just come home?